Rock legends Jimmy Page and Chris Cornell came together last night to celebrate Jimmy Page’s life in music with an onstage dialogue. Rolling Stone magazine described Cornell as ‘the most simpatico interviewer possible’ and Page as ‘a charming raconteur’. The two discussed pivotal moments in Page’s musical career – from his time as a session musician, to rehearsals of ‘Babe I'm Gonna Leave You’, to Page’s OBE and plans for future tours. 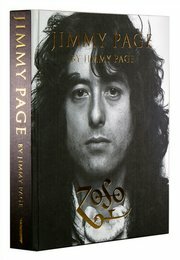 Jimmy Page’s ‘lavish photographic history’ is available to order from www.JimmyPageBook.com. You can also click here to see 13 of Rolling Stone’s favourite moments from the evening.